You may receive updates from IRON LION ZION, the sponsor of this letter campaign. David Irving is a Holocaust denier leading a tour of Nazi sites in Poland, Latvia and Lithuania to promote his lies. Holocaust denial is illegal in Poland and Latvia. Those countries should ban him, just like Australia did. Please send a letter to governments of Poland, Latvia and Lithuania demanding that Irving will be banned. It's easy and takes just 30 seconds. Put your name in the box >>> Click START WRITING >>> Click SEND LETTER >>> DONE ! 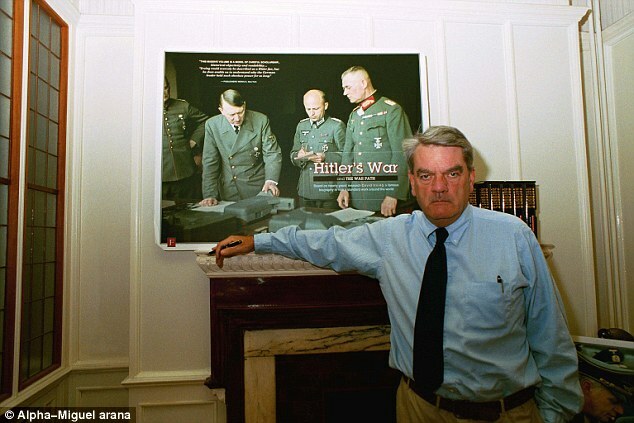 David Irving is an English Holocaust denier who has written on the military and political history of World War II, with a focus on Nazi Germany. Irving marginalised himself in 1988 when he began to espouse Holocaust denial, specifically denying that Jews were murdered by gassing at the Auschwitz concentration camp. Irving's reputation as a historian was discredited when, in the course of an unsuccessful libel case he filed against the American historian Deborah Lipstadt and Penguin Books, he was shown to have deliberately misrepresented historical evidence to promote Holocaust denial. The English court found that Irving was an active Holocaust denier, antisemite and racist, who "for his own ideological reasons persistently and deliberately misrepresented and manipulated historical evidence". In addition, the court found that Irving's books had distorted the history of Hitler's role in the Holocaust to depict Hitler in a favourable light. In Lithuania, approval and denial of Nazi crimes is prohibited [170(2) Publicly condoning international crimes, crimes of the USSR or Nazi Germany against the Republic of Lithuania and her inhabitants, denial or belittling of such crimes]. Due to engaging in Holocaust denial, David Irving has been barred from entering Australia multiple times. Irving was also sentenced by Austria to three years in prison after he admitted denying the Holocaust. We call the governments of Poland, Latvia and Lithuania to bar Irving from conducting this vile, racist and illegal “tour”.